Looking for a club with good members who care about kids? To develop Optimism as a philosophy of utilizing the tenets of the Optimist Creed; to promote an active interest in good government and civic affairs; to inspire respect for law; to promote patriotism and work for international accord and friendship among all people; to aid and encourage the development of youth in the belief that the giving of one's self in service to others will advance the well-being of human-kind, community life and the world. FOO is Friend of Optimists. Members of the community don't always have time to devote to the giving of themselves to help others, but still want to be helpful in many ways. Being a FOO is a way to do this. Becoming a FOO is easy, donate $100.00 and complete the FOO application from our club and you are a Friend of Optimists. The donation is given back to the community and the kids. This is something that can be renewed each year. Fill out the application in the attached brochure and send it to us with your check payable to: Optimist International. Give back to the community, become a FOO! Email: [email protected] or come to one of our meetings as our guest for dinner. This is an Optimistic incentive for young adult Members for one year, you can enjoy the benefits of an Optimist Club with less of a financial impact! Click here to read more about this wonderful benefit. New Program: The Optimist Internationals Internet Safety Program (ISP) in Zone 9! 99% of all teenagers use the Internet and there are initiatives to make Internet access available to all children. Please click on the Internet Safety link or select the Projects tab on the side to learn more about this great informative program. To find out when presentations will be given visit our Events tab for schedules. Each Optimist Club is chartered as a Member of Optimist International. This gives the Club the right to use the Optimist name and provided each Club with services and programs offered by Optimist International. 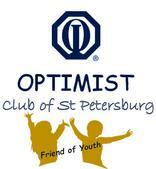 Each Optimist Club operates independently of each other. They choose their own activities, elect their own Officers and raise their own funds. A Club’s service activities are based on the needs of the community. What a Club can do is limited only by imagination and resources of the Members. The programs and guest speakers offer the Members an opportunity to learn, grow and improve themselves. The program features the youth in the community, as in the Essay and Oratorical Contests or in the Youth Appreciation Week. These meetings help to reinforce our commitment and allow us to take pride in our accomplishments. Interested in more than one family member being involved in Optimism? Then you need to contact us to learn about saving with our Chapter. See the Contact Us page and contact one of us for more information.